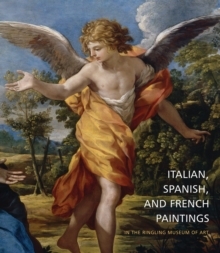 Presenting a wealth of new research, analysis and previously unpublished documentation, this beautifully illustrated volume is the first comprehensive examination of the Italian, Spanish and French Old Master paintings in the collections of the John and Mable Ringling Museum of Art. The largest and most significant collection of its kind in the American Southeast, the Ringling's 300-plus Italian, Spanish and French paintings include important works by well-known artists such as Cortona, Piero di Cosimo, Guercino, Rosa, Strozzi, Tiepolo and Veronese; Coypel, Nattier and Raoux; and Cano, Ribera and Velazquez. A rich resource for scholars and enthusiasts alike, this elegantly designed book includes comprehensive entries for each painting with details of technique and materials, provenance, patronage, attribution, date, subject, iconography, conservation history and bibliography, all accompanied by vivid, newly commissioned colour photography of each work.